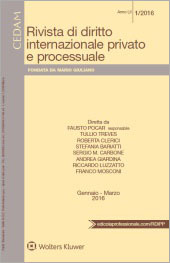 The third issue of 2017 of the Rivista di diritto internazionale privato e processuale (RDIPP, published by CEDAM) was just released. 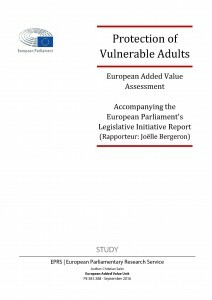 The European Parliamentary Research Service has published a study, authored by Christian Salm, to support a legislative initiative report on the protection of vulnerable adults to be prepared by the French MEP Joëlle Bergeron. The University of Milan (Department of International, Legal, Historical and Political Studies) will host on Friday 14 October 2016 (14h00) a conference on “Cross border family litigation in Europe. The Brussels IIbis recast“.